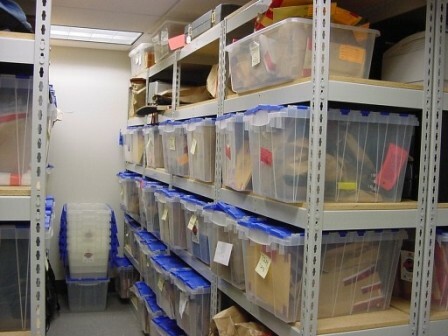 The Belleville Police Service Property Unit is responsible for cataloging and storing all exhibits and found-property collected. Please have your occurrence number available when making an inquiry with the Property Unit. Members of the public are encouraged to contact the Property Unit before visiting to determine if their property can be released and to discuss the documentation required. You are required to produce photo identification prior to the release of any property being held by the Police Service. Report any Loss to the Police! Keep an inventory of your possessions. Maintain a record of all serial and model numbers as well as any other information that will help to identify your property. Take photographs of your property. If you have had a break and enter, do NOT touch anything or clean up until the police have been notified. Contact Police. A police report is required in order to claim any recovered or found property. Provide the police with specific descriptions of the stolen property. Where available, provide the police with any serial and/or model numbers of the items. Keep a record of the occurrence number for future reference. Use a good-quality locking device such as a hardened steel "U? shaped lock or a steel chain and padlock. Lock your bicycle to an immovable object that cannot be easily cut or broken. Accessories such as lights and bags, etc. should be detached and taken with you when the bicycle is left unattended. Manufacturers mark most bicycles with a serial number. If yours does not have a serial number, engrave an identifying number on the frame. You may wish to put the same number on the wheels and other components. 8:00 a.m. ? 4:00 p.m.